Rhapsody, the stalwart music streaming service with 2 million paying subscribers, today acquired Schematic Labs, makers of “Instagram for songs” app SoundTracking, and Exfm, a social music discovery service that had been shut down since May. Schematic had raised over $5.7 million dollars from Accel Partners, SoftBank Capital, True Ventures and Google Ventures plus angels like Hunter Walk and Garrett Camp over several rounds. 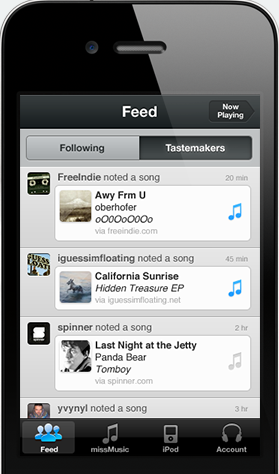 SoundTracking’s lack of native music streaming rights handicapped its app and stunted growth, but the backing of a parent company with licenses for streaming could change that. A check of the app shows it still has Spotify and Rdio integrated, hinting that while Rhapsody will surely be integrated, too, users of other services who want to pipe in their subscriptions to listen to full songs instead of previews won’t be cut off. Exfm’s service for turning any MP3 you browsed across into a shareable music collection will apparently return eventually in some form, though it’s not clear if that’s as its own service or as a discovery experience within Rhapsody. Exfm had raised over $2.8 million from Spark Capital, Founder Collective, betaworks and Dave Morgan. 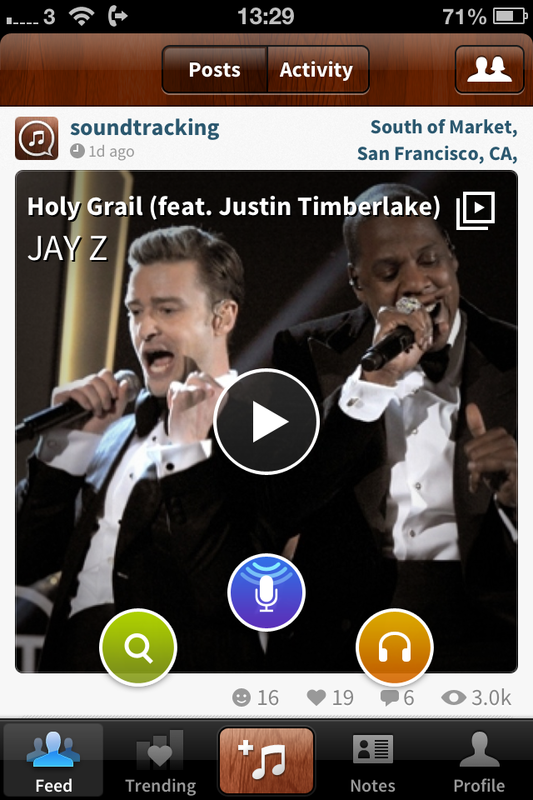 SoundTracking and Exfm could help make Rhapsody more relevant in the current battle for ears. Over the past years it’s been eclipsed by services like Spotify, and boxed out by platform owners like Apple and Google. While the space is very crowded, it’s always nice to have another serious competitor trying to build the best music service, not just use music as a loss-leader to sell more search ads or smartphones.